Ice and snow have slowed us down the past week. Thankfully most of the outdoor work is winding down. 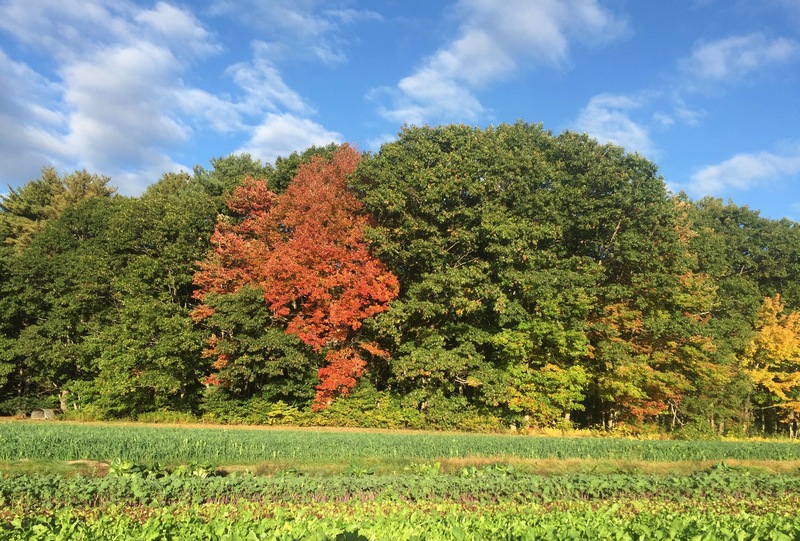 I spent three days at a farm conference in NH drilling down on wonky numbers like legume cover crop nitrogen fixation rates and walk-in cooler expansion valve settings. Like baseball stats these numbers are interesting and useful to a point but most reasonable people glaze over after a while. I’m happy to get back to the farm. Maura, the kids and I spent a solid hour today (Sunday) cutting the last of the spinach and kale from our field tunnel. The sun is so low and the night temps so frigid we have but a few hours on a sunny day to cut these crops between thaw and refreeze. With more snow in the forecast for Monday and Tuesday (and no sun), today was our best option to ensure the greens were available for Tuesday’s pickup. We hope all of you are settling into the restfulness of late December and that the white stuff outside pushes you deeper into your book, meal or good conversation. Our last last fall share…just in time for the holiday. Dramatic. That’s the word I can put to the past five days. After the power and fury of Sunday night its been a rollercoaster of clean-up, repair and triage. 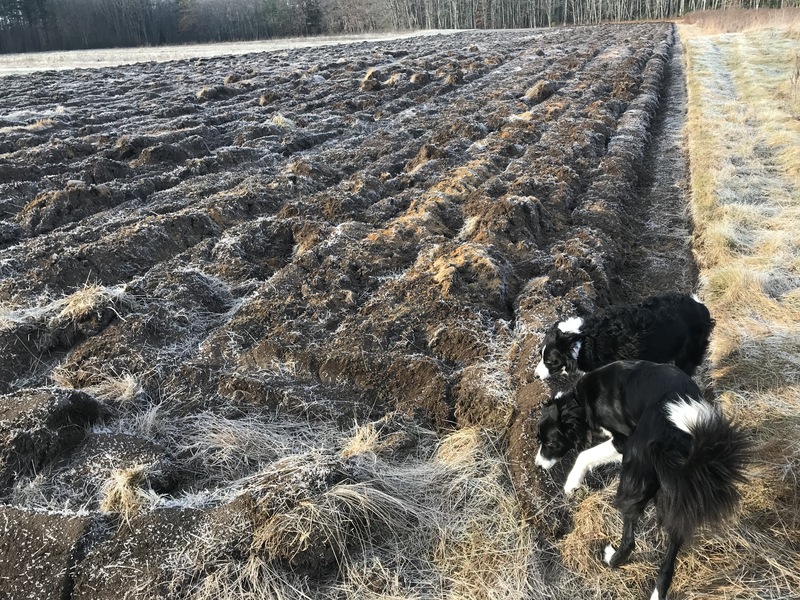 When the sun came up on Monday morning we were able to take stock of a farm that was tossed, turned and spread all over the place. 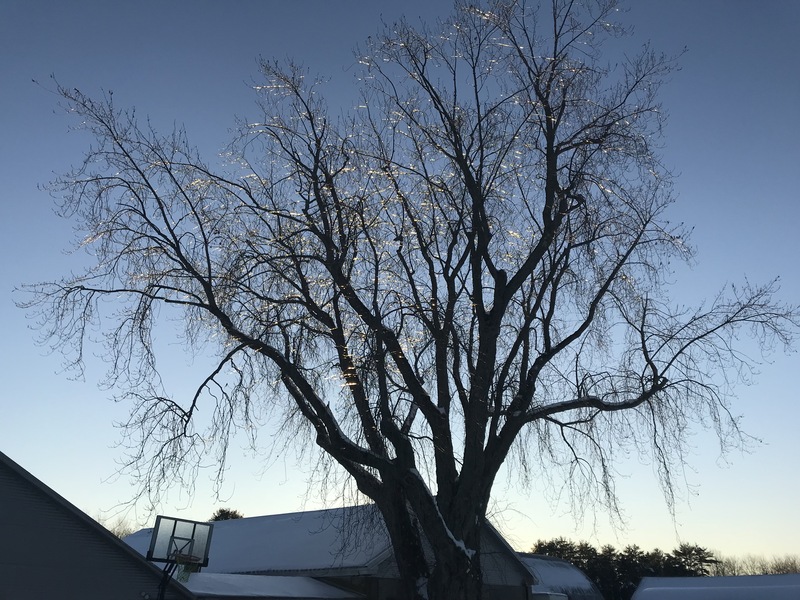 One of our prized sugar maples in the driveway lost it’s top, 3 barn doors were destroyed, the chicken house (no chickens in it thankfully) was picked up and carried 100′. 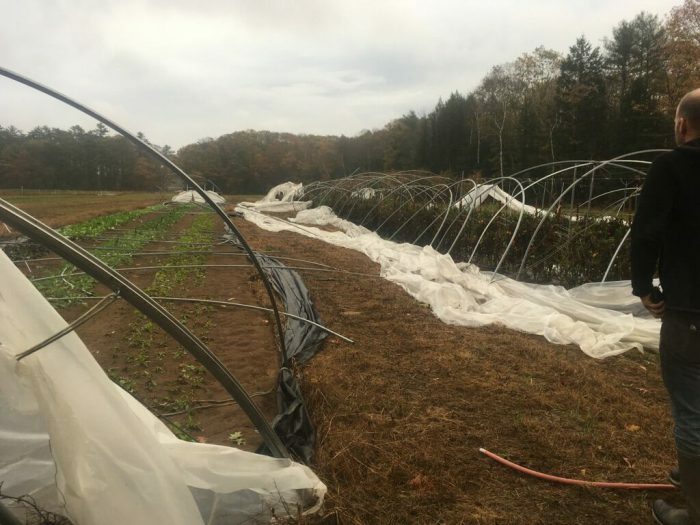 The most painful thing to discover was that our 3 field tunnels, that produced so many great tomatoes this summer, were pulled up and strewn over the landscape. After the awe wore off we set work cleaning up and putting it all back together. The farm crew was great. Everyone jumped in and reconstructed the tunnel with our winter greens before Tuesday night’s frost could add insult to injury (the greens will recover from the storm). After the structures were put back together we realized the compressor powering the walk-in freezer holding our blueberry crop had died in the outage surge. This was replaced quickly (to the tune of $3200) only to find out the new equipment was larger than our old generator could handle… thanks to CSA member Perry Esatbrook we were able to borrow his until CMP got us back online late Thursday evening. It’s never boring here. While I have a hard time shaking the feeling that we lost this whole work week, we are still here and with most of our good humor in place. Another summer of great food has come to a close. Thanks to all of you who were a part of the farm this year. It was dry but we grew some outstanding food. Have a great winter and we look forward to seeing you around town! Our late fall share starts this week. 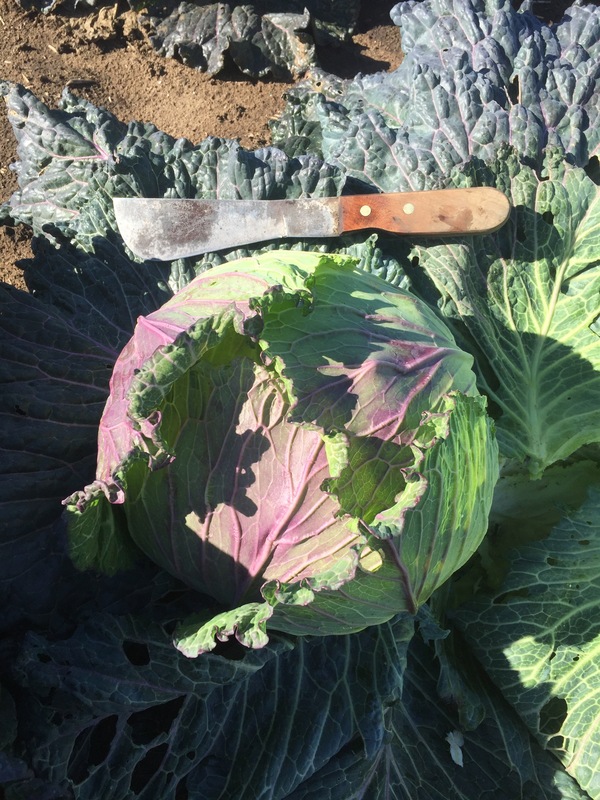 If you signed up for a fall share, come to the farm Tuesday 3-6pm for the first installment! We still have a few shares left. If you have been hesitating act quickly…here’s the sign-up link. The end of another season is here. We look forward to seeing you all at the farm one last time. The crew have been a buzz of activity getting ready for CSA pick-up this week. Harvesting the last of storage crops like parsnips and beets and sorting through winter squash and sweet potatoes. As this big storm is about to roll in, it is really feeling like the close to a season that I will remember most for its dryness. Our area of the coast has had a “D1” designation for a few weeks now (drought level 1), which means the official measure has caught up to what we have been feeling since July! If this weather system delivers the 2-3 inches expected it will equal all the rainfall we have had since the first week of June. Let it rain. Thanks to all of you for taking another trip through the summer months with us. The art of farming is taking some seed and turning it into something beautiful and nourishing. We love this job and have only gratitude to all of you for supporting us in doing it. Have great winter! Our late fall share runs during November and December with pick-ups every other Tuesday (Nov. 7, 21 and Dec. 5, 19). This is the storage crop (carrots, squash, potatoes, etc.) and fresh greens (spinach, lettuce, kale, bok choi, and chard) lifeline for the last two months of the year. Great holiday meal foundations! Follow this link to sign up. We have a new sign-up site! In addition to automated credit card and echeck payments you can also access your balance at anytime, include your add-on products in the payment plan and store your payment info for later. 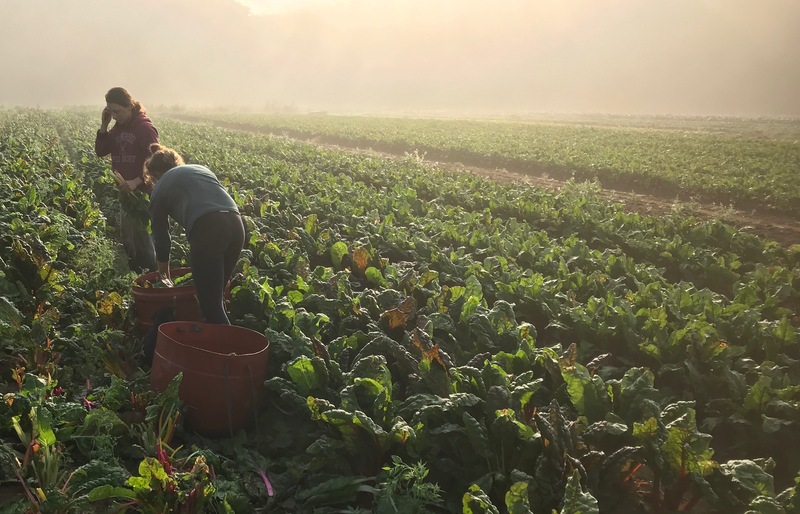 Thanks again for letting us grow food for you…here’s the link for 2018 Sign-up. As we start our second to last week of harvest for the summer share there is so much to do. The temperature flip flop of fall is at an extreme this year. Days in the 80’s and nights dipping to 30 have sent many of the crops on a stressful roller coaster. 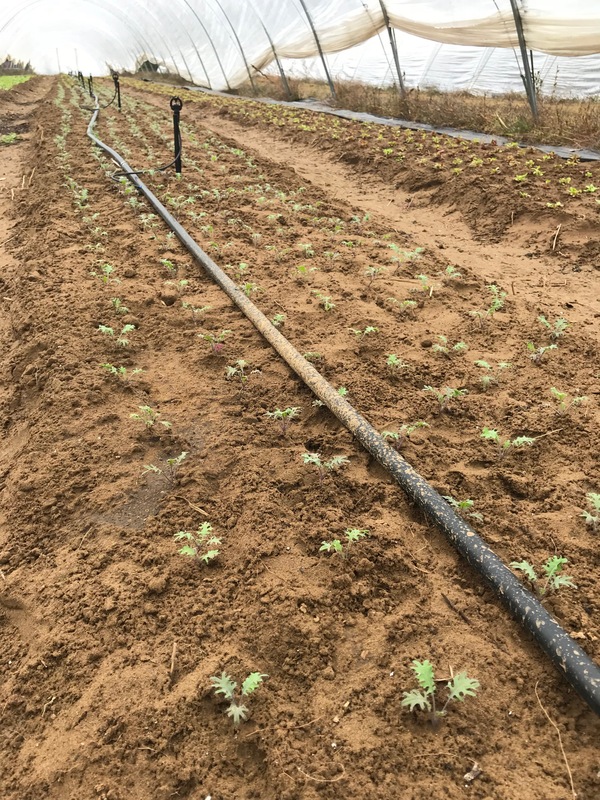 These swings push even the most fall hardy crops like kale and chard, both of which saw damage from the frosty night last week. The crew spent several hours laying out row covers over the past few days which gives us about 5 degrees of protection. If we stay above the 20’s we will be in good shape. Lots of good stuff coming your way this week. Butternut and potatoes confirm the season. Go ahead and preheat the oven now! Our late fall share runs during November and December with pick-ups every other Tuesday (Nov. 7, 21 and Dec. 5, 19). This is the storage crop (carrots, squash, potatoes, etc.) and fresh greens (spinach, lettuce, kale, bok choi, and chard) lifeline for the last two months of the year. Two of the deliveries fall in the same week as Thanksgiving and Christmas. Follow this link to sign up. We have a new sign-up site! In addition to automated credit card and echeck payments you can also access your balance at anytime, include your add-on products in the payment plan and store your payment info for later. Thanks again for letting grow food for you…here’s the link for 2018 Sign-up. Summer continues as we move solidly into October. That one night of frost a week ago may be all we get for a while here. Thinks are really growing, including the greens we have set in our tunnel for the Late Fall Share. Spinach, lettuce, kale, bok choi, and chard are all on track to keep fresh greens in your share if you signed up for the late fall. Ahead in the share for next week look for green cabbage and more beets. 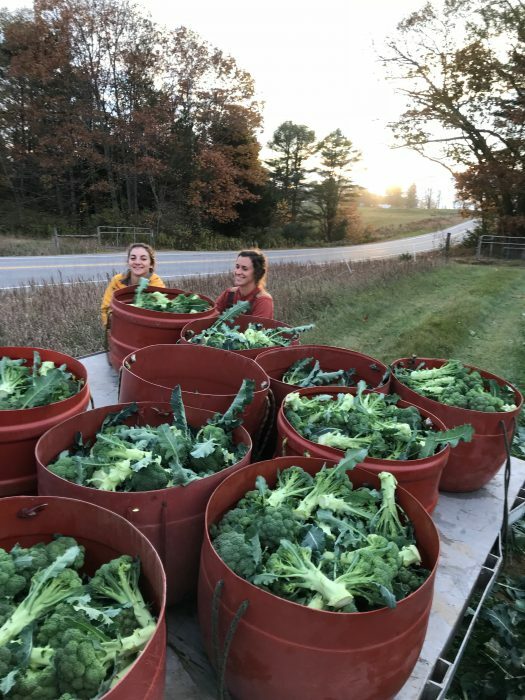 We have a massive amount of broccoli that is almost ready but not quite…with luck it will keep growing with the warmth and form heads just in time for some cold to sweeten it up. By far the latest we have still had a supply of cherry tomatoes. Come by and take advantage of the abundance and grab a handful of cilantro, dill, and rosemary while you are at it! September is wistful, watching as summer slips away. Kids are in school. The schedule locks in and gets busy for everyone. Thoughts of winter and everything that needs to be fixed and buttoned up before snow flies, begin to creep in. 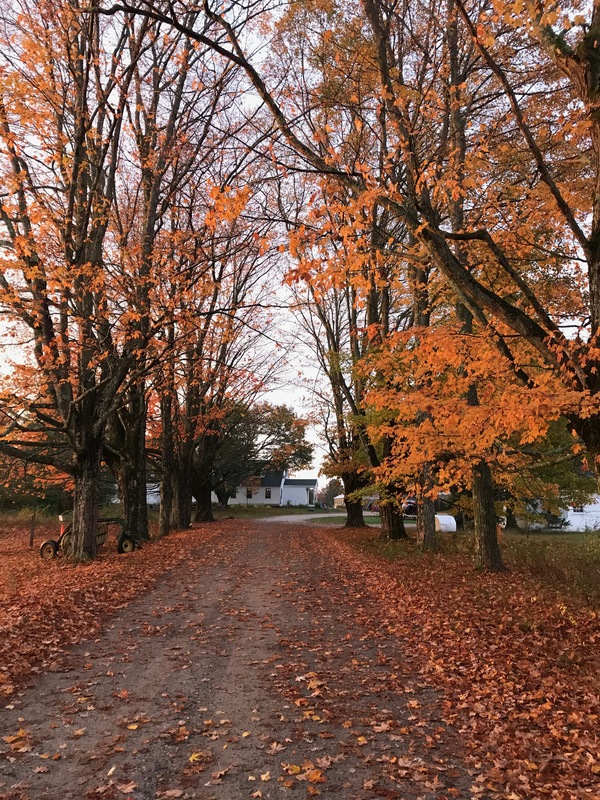 For us on the farm, September is also the end of our year. Even though we have more than a month of harvest yet to share with you, our production and budget year is coming to a close. Most of our 2017 expenses are paid out by the 30th (short of payroll) and starting in October we begin to look forward to and take on the expenses for the year to come. Beside growing things well, us farmers are entrepreneurs. Not like the Silicon Valley types that are backed by seemingly endless venture capital, but the type that makes budgets and writes checks to keep things running in the black. Each fall we buy heavily for the coming season. Just like anything in our “free-market” economy, we save money by paying early and buying in bulk. Greenhouse soil for our 342,000 transplants comes from Vermont and ran $6,484 last year, which is %10 off when paid before December 1. Our seed orders from Johnnys, Fedco and High Mowing came in at $8,370. For the last four years Fedco and Johnnys have run out of stock in January on many seeds sold in larger (i.e. farm) sizes. We work hard to put in our order in before the end of December so we can be sure to get the varieties of carrots, broccoli, onions, etc. that grow well here. 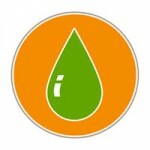 The purchasing list continues with diesel and heating fuel, field row covers, irrigation supplies, etc. This eager push to buy early allows us to save money. That’s good for us as a business but it’s also good for you, as it allows us to harvest great food for your family at a very affordable price. In 2016 the price per pound of the produce we harvested for the CSA was $1.44. The next time you are in the produce aisle keep an eye out for anything there that you can find for $1.44 per pound, much less anything freshly harvested and certified organic. We know that most of you are not members of the CSA solely because it makes sense on paper. Perhaps like Maura and I, you love the farm, cherish the community here each week, and thrive on being creative in the kitchen with what you bring home. The value of our produce helps catalyze all that other important stuff. I’m going deep with this today to remind you why we need you to sign up for your shares — so we can make everything else that is so important here work. This past fall we fell short of our membership goals for the first time in many seasons. In addition we had many late sign-ups and late payments. Our theories as to why this came to be run from a cold spring to a general malaise (due the political climate?). Whatever the reason we want you to know that we are here growing for you, even when the ground is frozen and you can’t even begin to dream of greenery outside. Thank you to all of you who are a part of the farm and please know that we are honored to be your farmers and can’t wait to get to work starting our new season. We have a new sign-up site. As technology advances we move with it. In addition to automated credit card and echeck payments you can also access your balance at anytime and store your payment info for later. Thanks again for letting grow food for you…here’s the link for 2018 Sign-up. 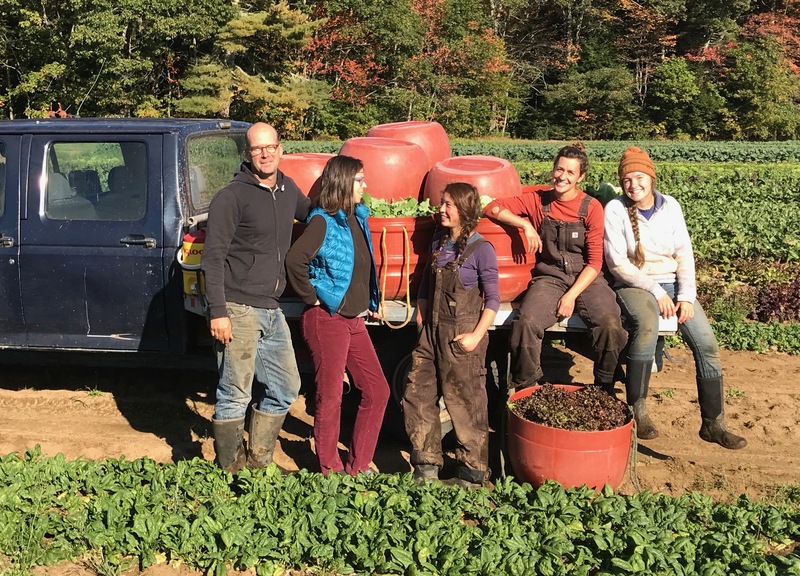 We have teamed up with our friends at Dirigo Public House in Yarmouth to host a farm to table dinner here at the farm Sunday October 1 from 3-7pm. 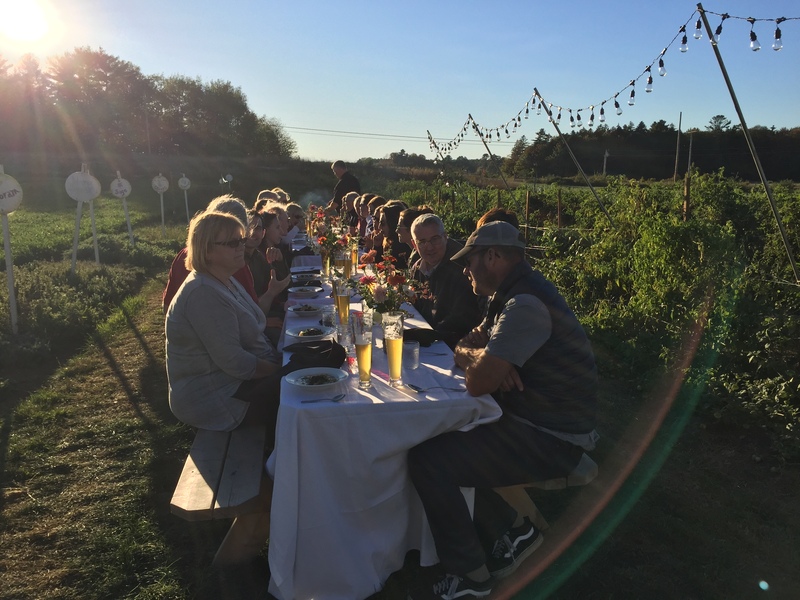 Farm produce and pork along with craft beer pairings will make a meal in the fields the perfect way to spend a fall afternoon. Look for more info and tickets via email in the next few days.